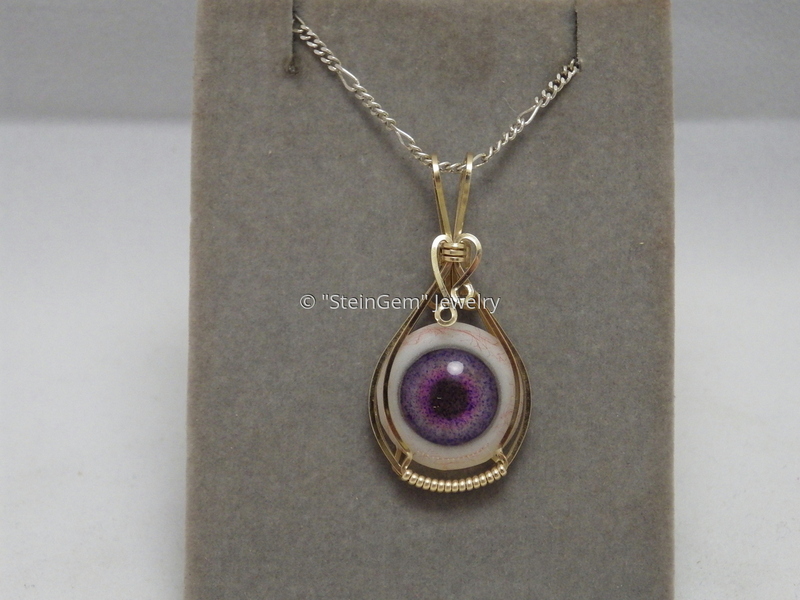 Stunning lavender genuine human glass eye cradled in 14 kt gold filled border wrap design. Pendant measures approx. 1 3/4 x 1 inch. This is a one of kind pendant. You need to get it as the listing won't last long. Very Rare Color!